Battlebond is a special new set, where the focus is on the Two-Headed Giant format. Get a chance to play with the cards a week before the set releases in this special Preview Event! Recruit a trusted partner and compete alongside them in the arena of Valor’s Reach on Kylem and claim your place in the pantheon of champions! 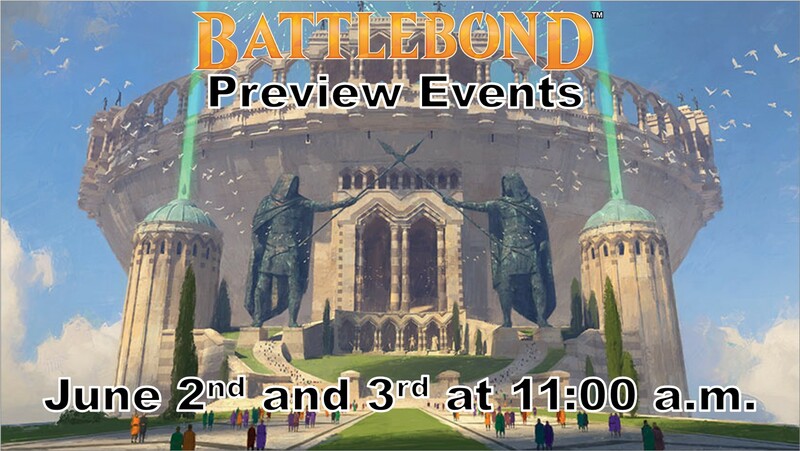 Players will each receive three Battlebond booster packs, for a total of six per team. Each team will open their packs and combine them into a single card pool, then build the two best 40 card decks they can from that pool. Teams will play against other teams in two on two mutliplayer battles. Each event will have hard limit of 18 teams (36 players), so pre-registration is recommended!